Just got paper published in Human Ecology that looks at the old question of what exactly motivates nomadic pastoralists. 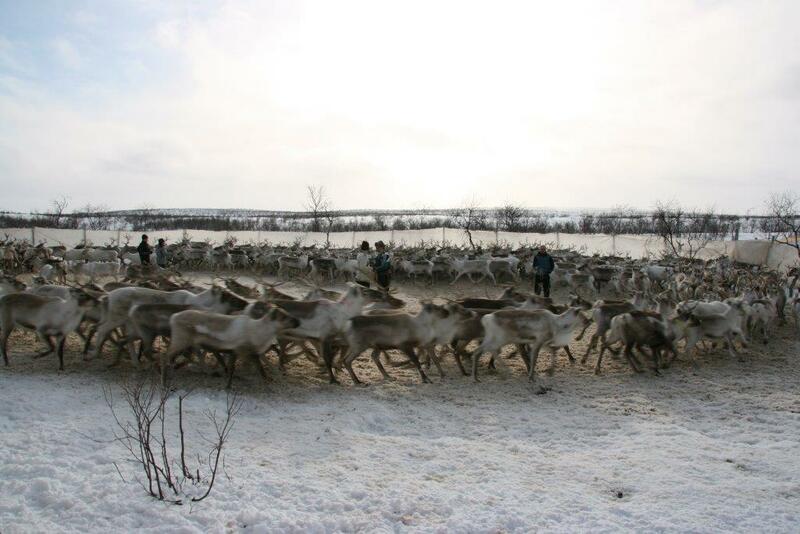 Reindeer herd in corral. (C) Bård-Jørgen Bårdsen. Many of my previous studies have shown that herd accumulation is an efficient strategy for buffering environmental variation and maximizes long-term survival. In other words, we have found strong support for the hypothesis that nomadic pastoralists are concerned with managing environmental risk. Nevertheless, the litmus test for e.g. herd accumulation as a risk management strategy is to what degree pastoralists actively make risk sensitive decisions when facing alternative options. The overall aim of the paper is thus to pit traditional pastoral logic (herds as ‘banks on the hoof’) against market logic (‘law of supply’) and see which one predicts slaughter strategies among reindeer herders in Norway. [h]erders thus continually increase numbers; selling fewer animals when prices are high enough to meet domestic demands and reluctantly selling more animals when prices are low […]. This is the antithesis of modern economics whereby high prices are assumed to stimulate higher production. So what did we find? 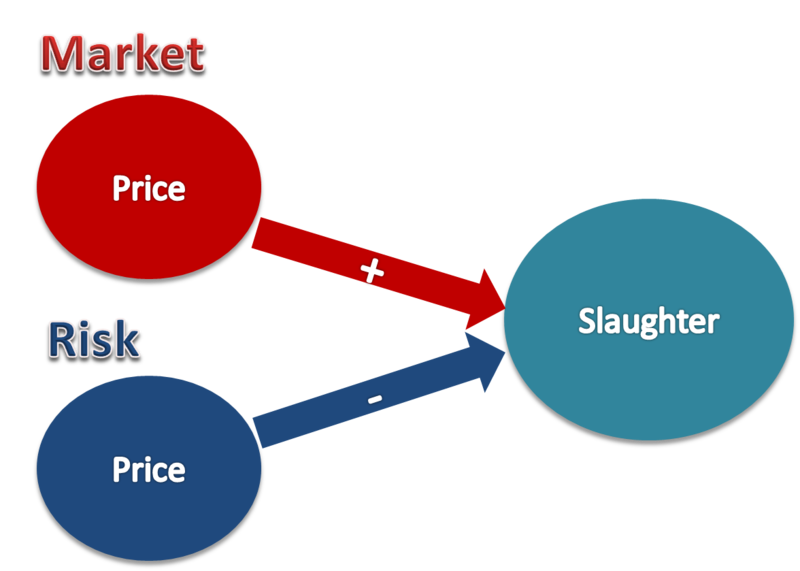 Not surprisingly, slaughter strategies are complex so you should read the whole paper here. Næss, M. W. (2013). Climate Change, Risk Management and the End of Nomadic Pastoralism. International Journal of Sustainable Development & World Ecology 20(2):123-133. http://dx.doi.org/10.1080/13504509.2013.779615. Næss, M. W. (2012). Cooperative pastoral production – reconceptualizing the relationship between pastoral labor and production. American Anthropologist 114(2):309-321. http://dx.doi.org/10.1111/j.1548-1433.2012.01427.x. Næss, M. W. (2012). Tibetan Nomads Facing an Uncertain Future: Impacts of Climate Change on the Qinghai-Tibetan Plateau, in Lamadrid, A & Kelman, I. (eds. ), Climate Change Modeling for Local Adaptation in the Hindu Kush-Himalayan Region, Environment and Disaster Risk Management, Volume 11, pp. 99-122. Emerald Group Publishing Limited. http://dx.doi.org/10.1108/S2040-7262(2012)0000011012. Næss, M. W. (2010). Contradictory Evidence as a Guide for Future Research – Investigating the Relationship between Pastoral Labour and Production. Nomadic Peoples 14(1):51-71. http://dx.doi.org/10.3167/np.2010.140104 . Næss, M. W., Fauchald, P., and Tveraa, T. (2009). Scale dependency and the “marginal” value of labor. Human Ecology 37(2):193-211. http://dx.doi.org/10.1007/s10745-009-9226-5.